Have one of the world's most exciting shopping destinations at your doorstep — Orchard Road is home to trendy cafes, international luxury boutiques, fine dining and round-theclock entertainment. With the MRT station a shor t walk away, you are also connected to the rest of Singapore. In fact, everything you need and have ever wanted is just steps away. 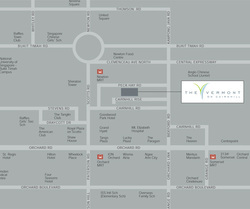 Or you can just sit back, and take pride in the fact that you are residing in one of Singapore's most coveted addresses.